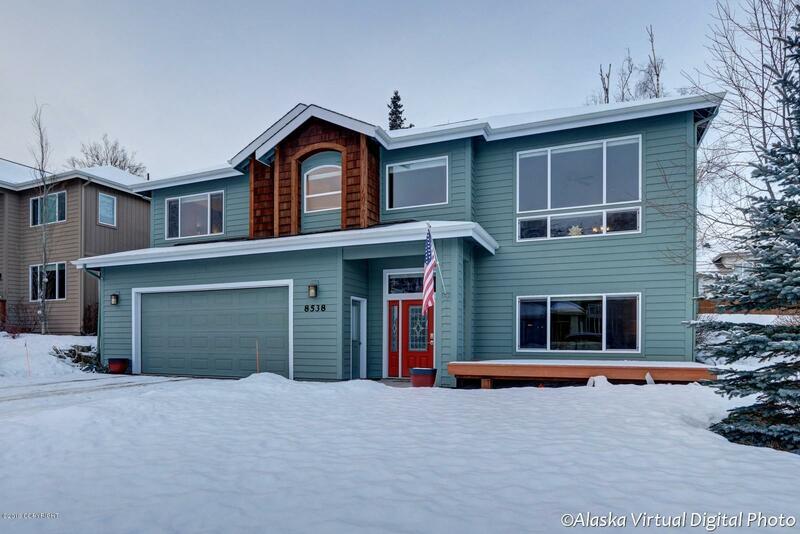 Eagle Pointe Home w/Stunning Mountain Views! Light & Bright LR w/Southern Sun Exposure. Kit Features Granite Counters & Backsplash, SS Appliances & BI Pantry. Dining Area Opens To Back Deck. MBR w/Coffered Ceiling & MBA w/Double Sinks, Jet Tub, Sep Shower & Walk-In-Closet. Lower Level w/Family Room, BR + Awesome Bonus Room (Potential BR #5/No Closet).Large Tandem 3 Car Garage w/TONS Of Storage!